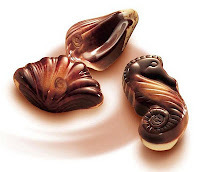 Being Frugal and Making It Work: Guylian Artisanal Belgian Chocolates Giveaway Ends Tonight! Guylian Artisanal Belgian Chocolates Giveaway Ends Tonight! Do you need a chocolate fix? Guylian Belgian Chocolates are simply divine. They are smooth, rich and delicious! I let them melt in my mouth as I savored every single moment. Don't miss your chance to win a delicious assortment of Guylian Artisanal Belgian Chocolates! While you're here, be sure to check out more great giveaways in the sidebar!